Contemporary mission and ministry, as well as best practice in secular government, emphasise partnership and working together. Yet this can be easier said than done. At its best, working together brings energy and synergy and enables you to achieve something you could never do alone. At its worst, its a nightmare that you may well wish you had never got into. Skills for Collaborative Ministry will help you to work more effectively with other people, both inside and outside of the Church. Each chapter focuses on a particular skill  such as team building, facilitation, diversity skills, conflict resolution and evaluation techniques - outlines the theory and the theology behind it, and gives practical guidance and advice. Written by an experienced team, the book includes exercises for both individuals and groups, along with a range of ideas that can be adapted to your own context. It will enable you to work collaboratively with confidence and skill. Dr Sally Nash is director of the Midlands Centre for Youth Ministry, UK and has been been involved in Christian youth work for 25 years. Jo Pimlott is assistant director at the Midlands Centre for Youth Ministry and has been involved in church leadership for many years. She is the author of several books on youth work including Inspire inspire too and Meet them where theyre at. Revd Paul Nash is Senior Chaplain at Birmingham Childrens Hospital and a Tutor at the Midlands Centre for Youth Ministry and was previously on the Leadership Team of Youth for Christ. 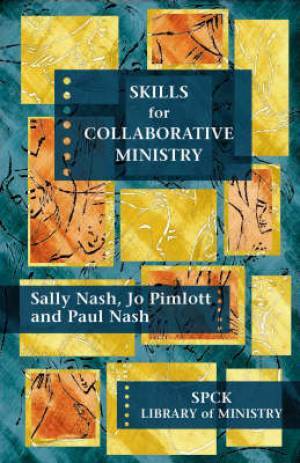 Skills for Collaborative Ministry by Sally Nash; Jo Pimlott; Paul Nash was published by SPCK in October 2008 and is our 25855th best seller. The ISBN for Skills for Collaborative Ministry is 9780281059942. I’m sure nobody would dispute the necessity for collaboration in the work of ministry, within churches and also with other agencies, but not all those involved have the skills necessary to work together effectively. This book should help! In an illuminating introductory chapter, the three authors (who are Director, Assistant Director and tutor at the Midlands Centre for Youth Ministry) emphasise the biblical, Trinitarian authority for collaboration, stress the link between ministry and mission, and expose some of the barriers to good cooperation. In pursuit of their chief aim, which is to concentrate on necessary skills, they then tackle things that can make or break effectiveness, including group work processes; facilitation and reflection; vision building and teamwork; supervision, conflict and evaluation. There are helpful discussion topics at the end of each chapter, plus a full bibliography and references. The skills highlighted in this book “will help teams to do things right as well as to do the right things”. If I was starting out in ministry again, this is a volume that I would definitely consult. Got a question? No problem! Just click here to ask us about Skills for Collaborative Ministry.